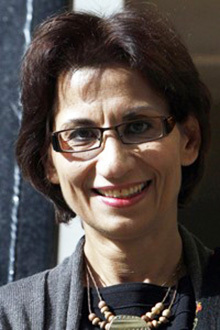 Ziba Mir-Hosseini, a legal anthropologist and co-editor of the book “Men in Charge? Rethinking Authority in Muslim Legal Tradition” (Oneworld Publications, 2015), will deliver a talk at the Maxwell School on Tuesday, March 17, at 5 p.m. in 220 Eggers Hall. The event, which celebrates International Women’s Day, is free and open to the public. Mir-Hosseini is a founding member of the Musawah Global Movement for Equality and Justice in the Muslim Family and is currently a professional research associate at the Centre for Islamic and Middle Eastern Law at the University of London, where she studies Islamic law, gender and development. She has published books on Islamic family law in Iran and Morocco, Iranian clerical discourses on gender, Islamic reformist thinkers and the revival of zina laws. She also co-directed two award-winning feature-length documentary films on Iran: “Divorce Iranian Style” (1998) and “Runaway” (2001). Following the talk, which is sponsored by the Middle Eastern Studies Program at the Moynihan Institute of Global Affairs, Mir-Hosseini will sign copies of her book.